I haven't seen this one anywhere!!! I don't know if this is filmed in China or Taiwan. I thought it would be awesome if Viki pick it up. I have already put in a request for it (as a consumer). It would be great if you are also interested and put in a request. I am also learning to be a segmenter too. So if this become a project, I would love to be a staff. You must be referring to ã€Šç¬¨è›‹çˆ±ä¸Šä¸¤ä¸ªä½ Fool In Love With Two Of Youã€‹. It's a 35 eps web-Cdrama of 20 mins per ep. It's a webcast, only available on LeTV. It's actually the season 2 of ã€Šæˆ‘å�«éƒ�è�ªæ˜Ž I Am Very Clever/My name is Very Cleverã€‹. 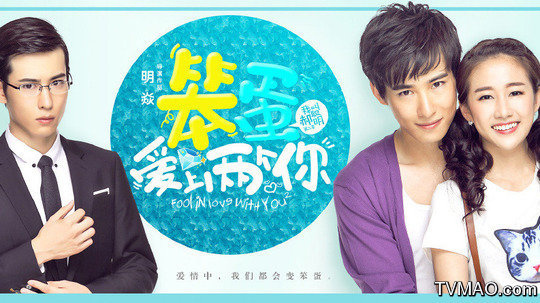 A 20 eps web-Cdrama also on LeTV. So, Viki does have season 1. Thanks @denisse_bach. There you go, @catcherofdreams, watch it first. Who knows, season 2 may be in the works and will be on Viki too? You'll then be able to realize your hope to segment. Btw, these are productions from China. Any idea if this is in the works.